Our Wall Tents are beautiful, versatile and tough. 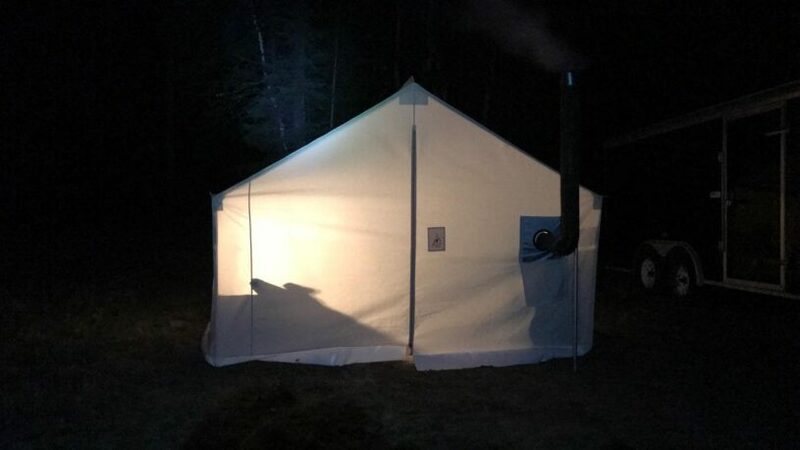 A good wall tent makes a perfect base camp for hunting parties, a luxurious suite for glamping, a portable cookhouse for feeding a crowd or just a comfortable 4-season getaway for the whole family. All of our wall tents have the same basic shape, but there are three different styles to consider: Prospector, Historic and Internal Frame Styles. 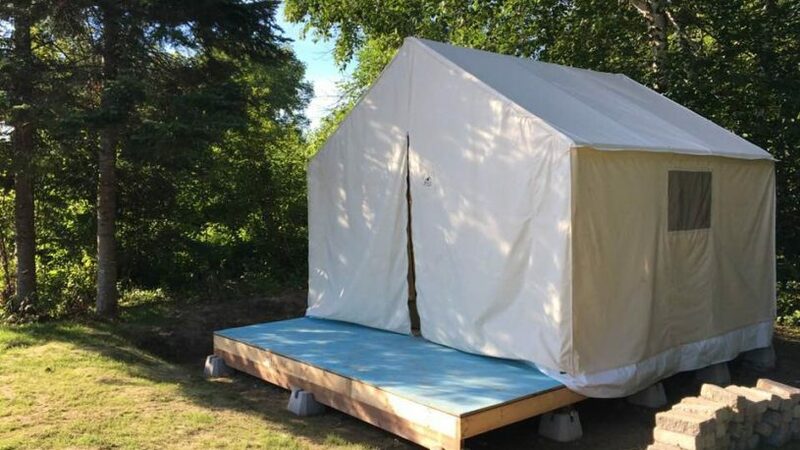 We have standard sizes for all our wall tents which are based on the width of our raw canvas to eliminate waste and give you the best value for your dollar. If you require very specific dimensions, we are happy to accommodate them; just contact us. Our wall tents are available in both our 10.6 oz and 13 oz canvas. 10.6 oz is a good lightweight grade which reduces cost and is perfect for occasional use. 13 oz is our heavy-duty grade, it lasts longer and withstands more rugged use. All our wall tents can be customized to suit your needs. Different dimensions, styles of windows, doors, awnings, floor tarps, or whatever else you need is typically no problem. A few of our most popular options are listed below. Prospector, Internal Frame or Historic wall tents can all be customized to your liking, below are some of our most popular additions. To let the summer breeze in and keep the mosquitos out, our screen fronts are perfect. These close with a central zipper. They extend a bit beyond the bottom of the tent and are weighted down on the bottom to provide the best protection. When not in use, they roll up and tie away. Costs vary with the size of tent, typical sizes range from $120-$250 each. 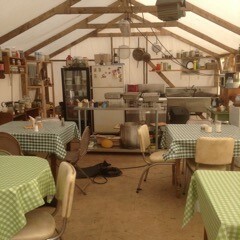 None of our standard tents have attached floors. 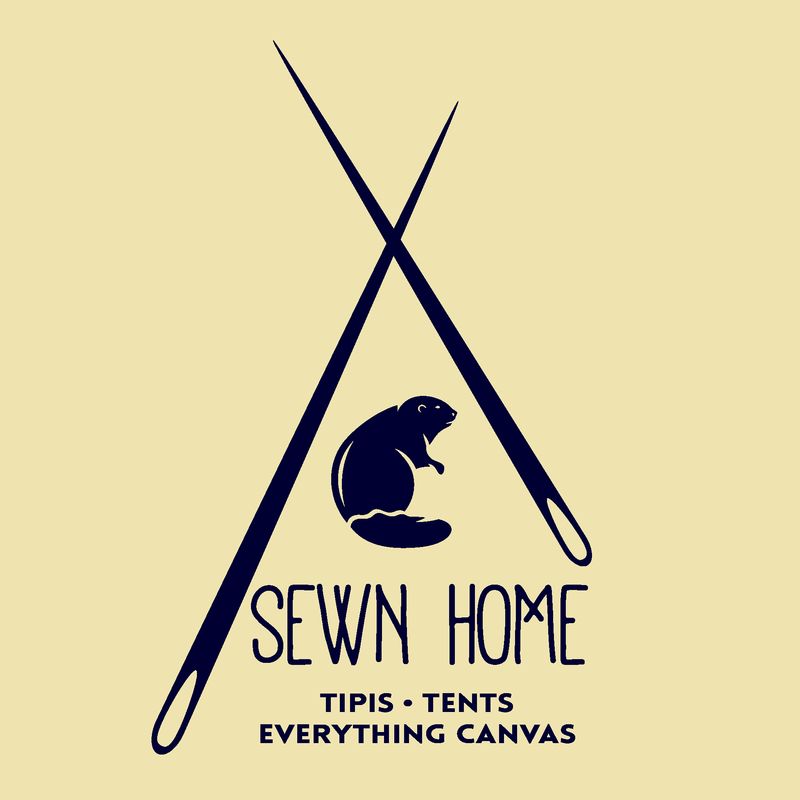 Sewing a floor to your canvas tent will make it more difficult to dry out (potentially decreasing the lifespan). If you would like a floor, we recommend a simple tarp which lays over your sod cloth. We either make these out of our tent canvas for a nice look and feel, or out of welded-seam vinyl for a heavy water-tight barrier. Floor tarps can be trimmed to fit around a wood stove. These 32” wide doors can be rolled up and buckled out of the way which makes tasks like bringing in gear or firewood easier. These can also have a second roll-up screen door installed to provide a nice mosquito-free breeze. Both the canvas and screen layers zip down to the bottom when closed. The canvas layer on its own is $90, the canvas and screen layers together cost $160. Keeping a fly over your wall tent will extend its life by taking the brunt of abuse from the elements. The most economical way to cover your tent is with a heavy-duty tarp from your local hardware store, these work well and are easily replaced. 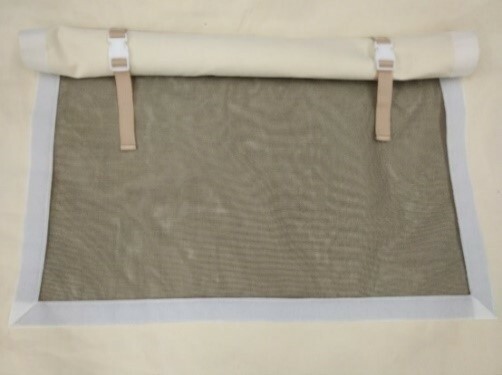 If you want something that looks beautiful and lets the light shine through, we make flies out of tent canvas or 6oz clear fire-retardant, UV stable woven polyethylene. These flies can be made to extend beyond your tent to provide an awning. Windows can be made of tough mosquito screen, no-see-um netting to keep out the tiniest of insects, or clear vinyl. Our standard windows come with a canvas flap that closes with hook-and-loop and buckles away when open. If you would like any other style of closure, contact us for pricing. 20”x30” windows are $70 each, 24”x36” windows are $80 each. 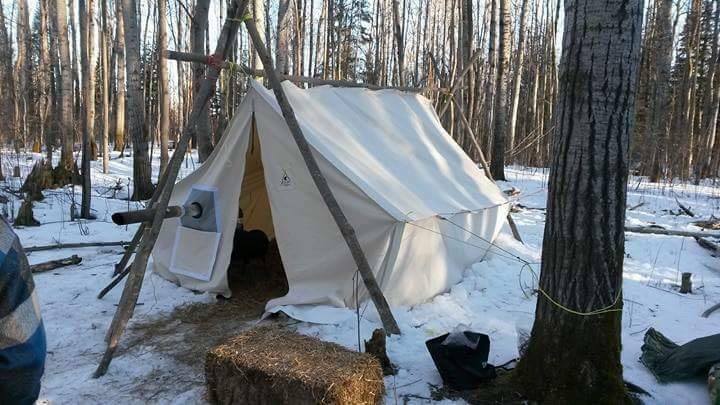 This is our most popular style of wall tent. it is perfect for remote base camps but can also be a very handsome glamping tent. 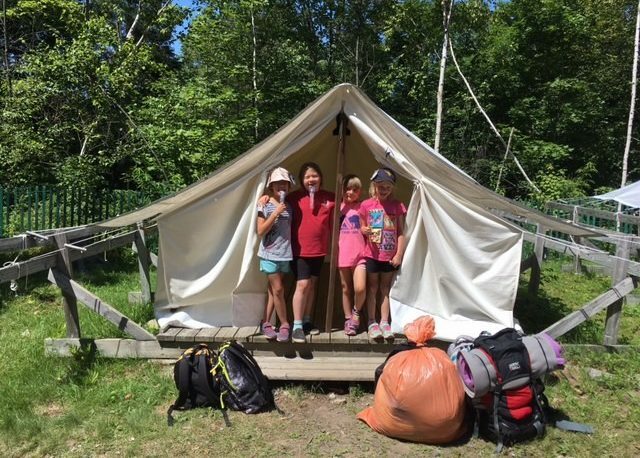 These tents typically hang from an external frame of lashed-together bush poles. Alternatively, it can be made into a very comfortable and elegant structure using a deck base and adding some extra care when building the frame. Throw in some appropriate furniture and décor to create a beautiful glamping space. While the framework is entirely made by you, we are more than happy to provide measurements for your bush poles (free of charge), or even full plans to build a more substantial deck base and frame (at a cost). 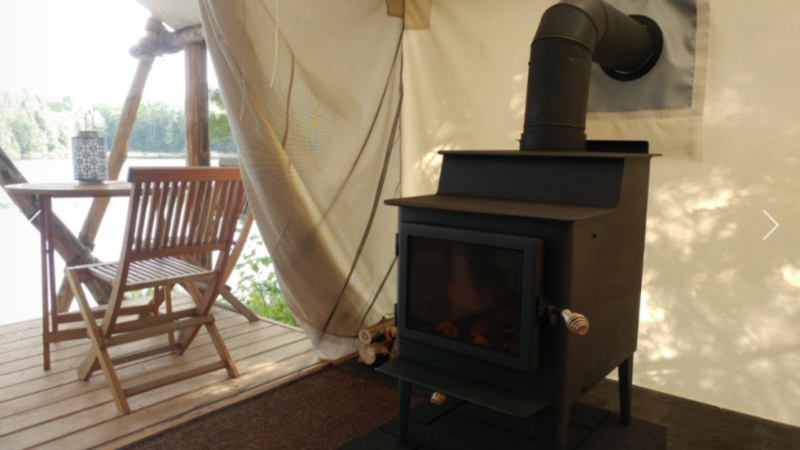 Standard pricing listed below includes a zipper door, stove jack, heavy duty sod cloth, stake loops and quadruple reinforced stainless steel grommets along the eaves and ridge line. All prices are in Canadian funds and are subject to 13% HST. Shipping is not included. A 50% minimum deposit is required to place an order, the balance is due before shipping. 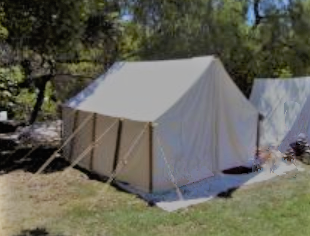 If your tent is for living history such as rendezvous, 18th-19th century military reenacting or documentary filming, our Historic Style Wall Tents are perfect. Our commitment to quality will keep you and all your gear warm and dry for many years. 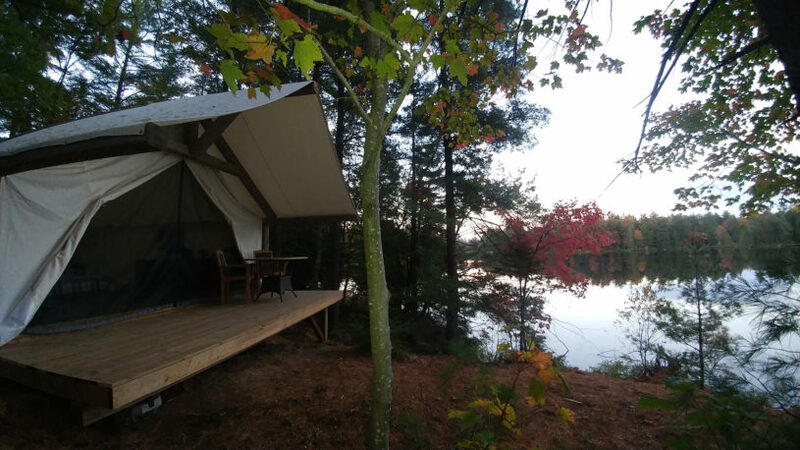 These tents also offer an elegant and simple solution for glamping, summer camp housing or just year-round camping for the whole family. The ridge is held up by a ridge pole supported by upright poles at either end; the walls are held up by wall poles and guy lines. Wooden poles are made of douglas fir or tamarack, both are naturally very rigid and rot-resistant woods. 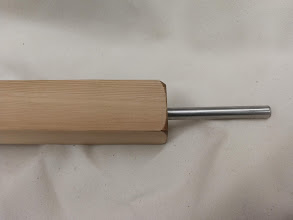 Upright and wall poles are topped with 3/8” stainless steel pins to connect with grommets and guy lines. The ridge line is heavily reinforced, the eaves are quadruple reinforced, and can either be fitted with canvas-covered loops or stainless steel grommets to accept your wall poles. Prices listed for poles include one sleeved joint on the ridge pole. Additional sleeved joints are $40 each. Standard historic style wall tents include synthetic materials where needed for strength. However all modern additions are hidden under canvas for authenticity. 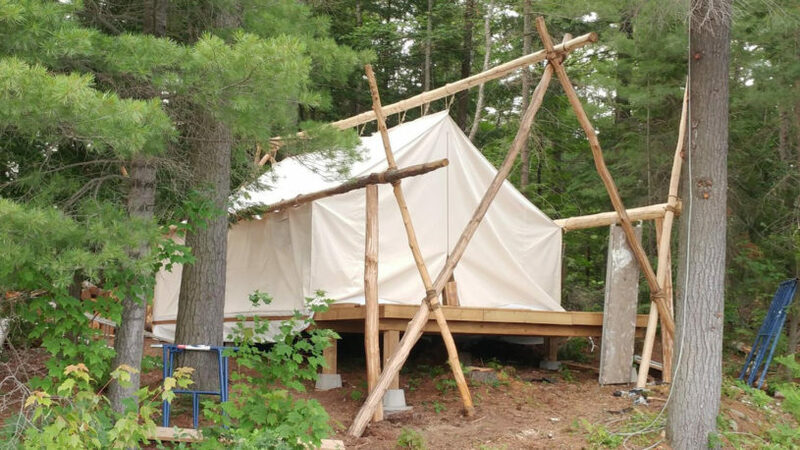 For a more permanent structure, wall tents can be made to fit over a lumber frame. We are more than happy to provide custom details on your frame to make sure details like roof pitch, stove placement, windows and doors are accounted for. 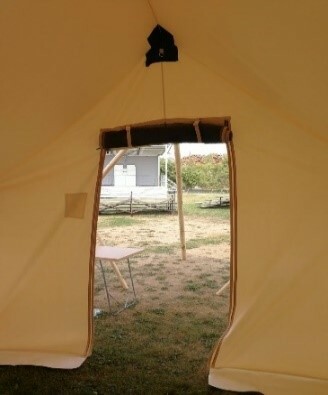 Internal Frame Wall Tents have heavy internal reinforcing to resist abrasion from the frame. Prices listed below include a zipper door, stove jack, stake loops, heavy duty sod cloth, quadruple reinforced stainless steel grommets along the eaves, and a well-reinforced ridgeline and corners to resist abrasion. If you have an existing frame, please contact us with precise dimensions and we will be happy to make you a tent to fit.